To be fair… things have not progressed with the blog quite as good as I had hoped. Painted a lot, played a little but posted next to nothing. But I still want to keep it up, so let’s try to do some simpler posts now (although in the future I will try for some better photos). 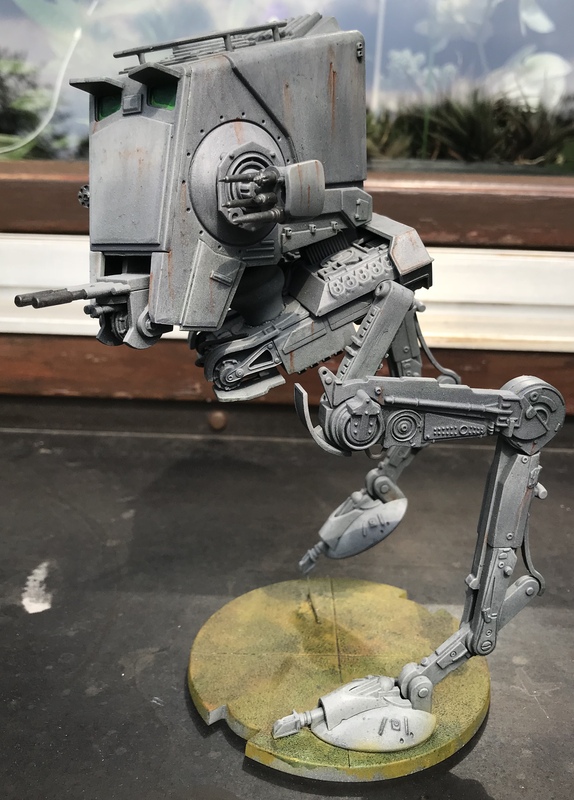 So after a Holiday in Scotland earlier this month Inwanted something simpler to get back into the saddle and did some Royal Guards for Star Wars Legion this Sunday. 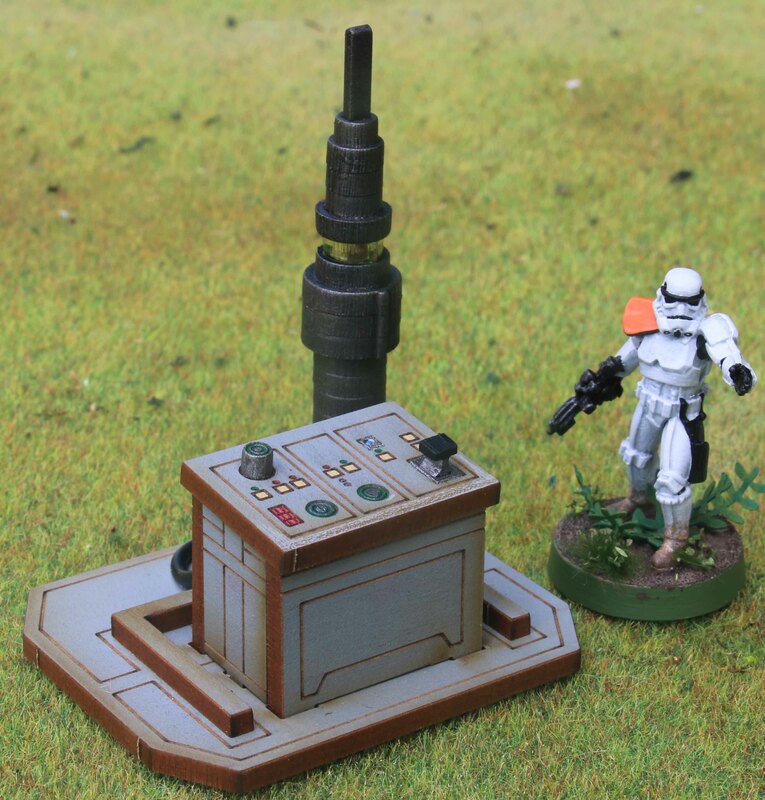 As with the other Star Wars minis , everything was fast and simple. For a short time I had contemplated doing the armour, clothing and capes in different shades of red, but in the movies their tone for red looks quite monotone all over so I did them that way. 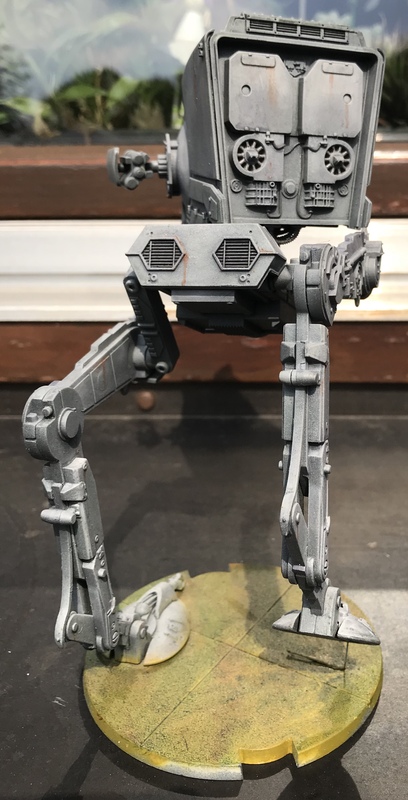 If anyone is wondering where there are five when the box comes with four minis… well I received two sets of legs for my heavy weapon trooper, but no torso. Fantasy Flight Games send me a replacement, but due to some computer error, that went to Ivory Coast. So they send another torso replacement but for the wrong trooper. Someone in a post office in Ivory Coast seems to have figured out that my address was in Germany and forwarded that package on (they both arrived virtually simultaneously). So I cobbled one of the pairs of legs I had together with the wrong torso, put on a lot of green stuff and painted it as well. I guess it will be largely useless in the game, since Incan not field that many troopers in the unit anyway, but I did not want anything going to waste. 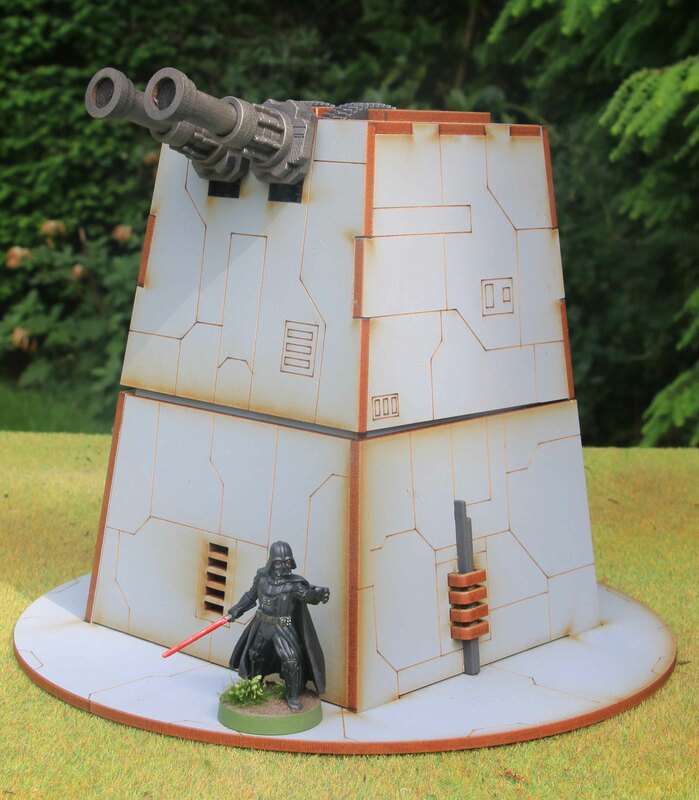 Continuing my quest to get my forces for Star Wars: Legion together… here are some more. Up next are the Snowtroopers. Since I decided to keep my bases in a forest / jungle theme, I did not want to do them in snow theme. The background story for the unit rather has them as hazardous environment troops rather than dedicated snow troops. So I went with tan coloured clothing and coats instead of white. For a while I contemplated moss-green coats, but decided against it, since I wanted them to still look as light coloured as possible. Which I think I pulled off. But it proved to be harder than I thought. For one I was unsure about the looks during the whole process. Which lead me to do something I rarely do, that is paint one mini as a sample. Only when I was happy with that finished product, did i go back and paint the rest of the squad. And it all took me longer than I had wanted. I had always planned to keep the Star Wars minis simple and only do fast paint jobs, but with these it did not work out. I think they all took a little over twice as long as seven Stormtroopers took me. And last is Luke Skywalker. His uniform matches the one worn on Bespin in the Star Wars movies, so i painted him that way. Again, the face does not really look like Mark Hamill, but it can not be helped. While painting him I was wondering one thing. 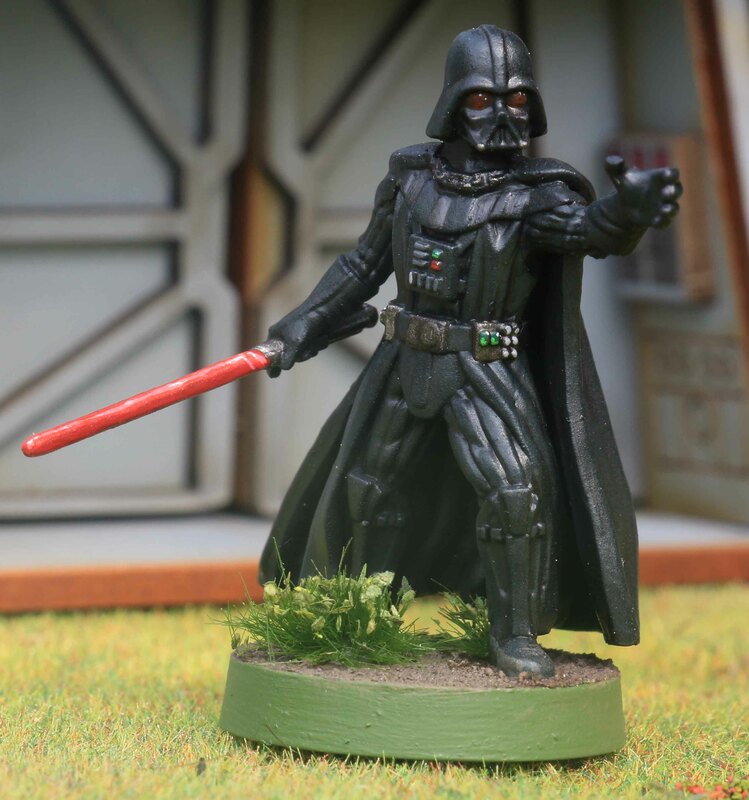 Points and abilities wise he is no match for Darth Vader in the game. 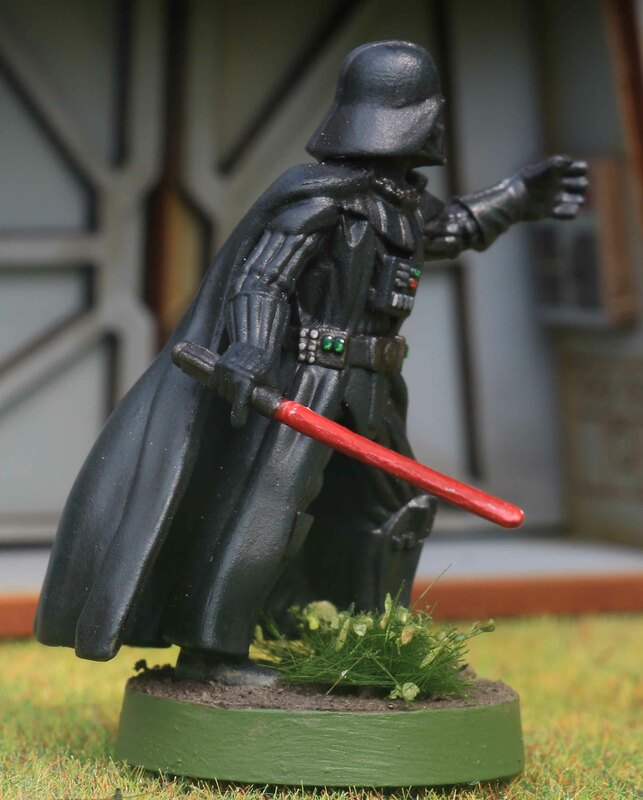 But since his looks match Luke Skywalker on Bespin, when he was not as skilled as he was later on,… will Fantasy Flight games later release a more powerful version of him, matching the Skywalker at the time of Endor? 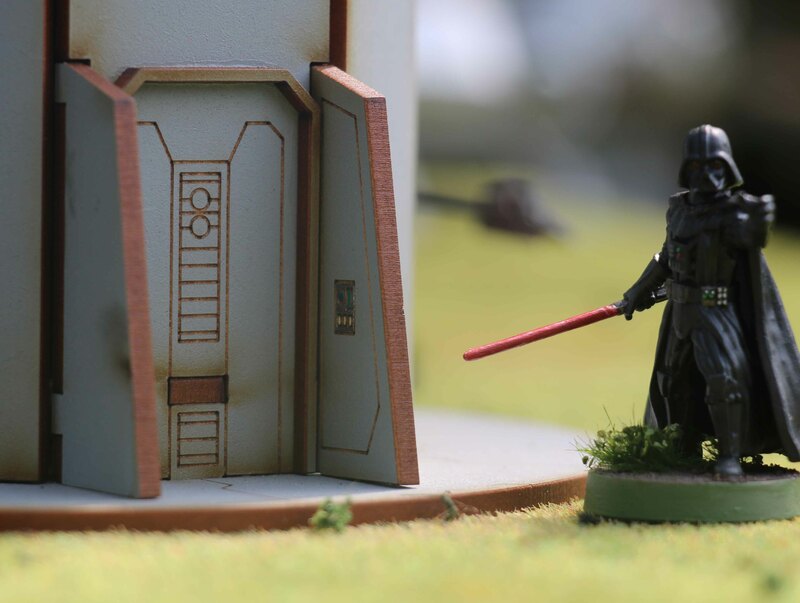 When they announced the Star Wars Legion game late last year, I knew, that I had to play it. And I knew that I needed some terrain for it. When I saw the Battle Kiwi Kickstarter I knew that this would be great for the game and I bought into it. And I was not disappointed. All the buildings went together very easy and required very little effort to make them even better. Plus they are super versatile. Up first is the bunker. 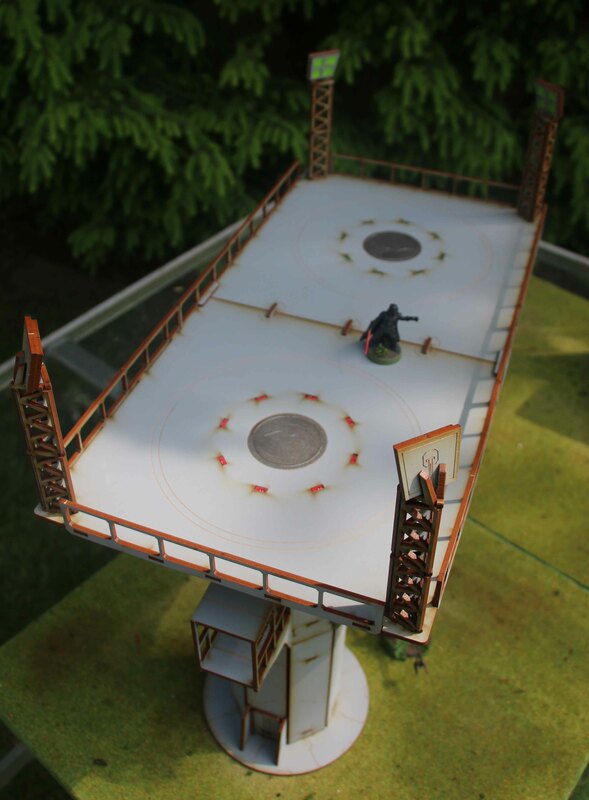 It has a good level of detail, provides cover to the minis standing atop the roof. 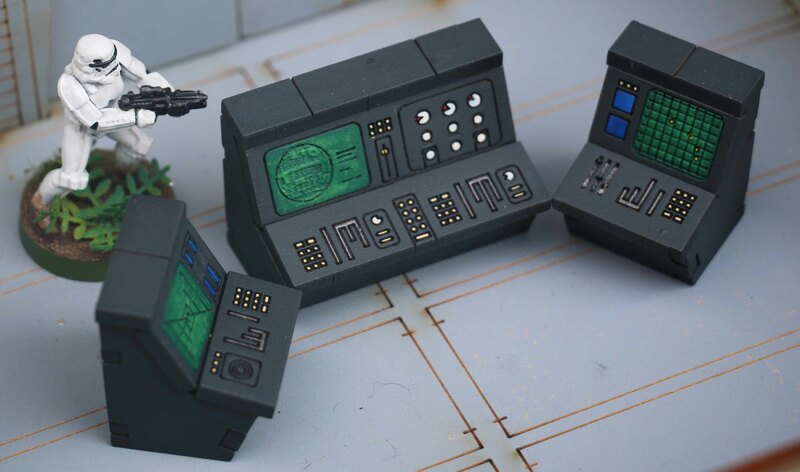 I like the fact, that it has opening doors and that you can take part of the rear wall out, to give you the ability to connect it to different buildings they are planning to release later on. 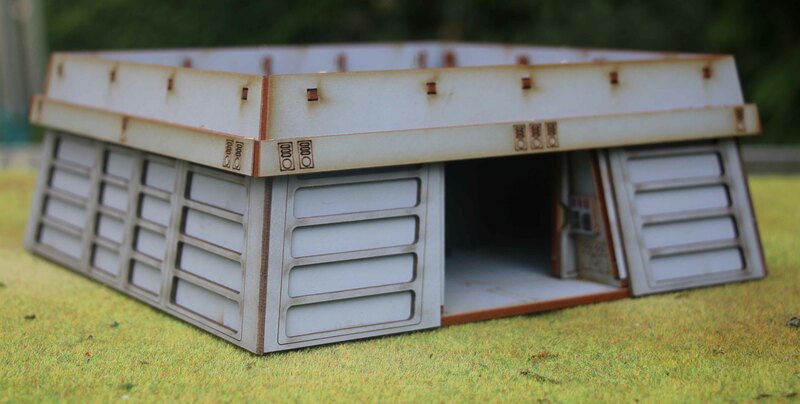 The three consoles that come with the bunker offer some nice cover to the minis inside. 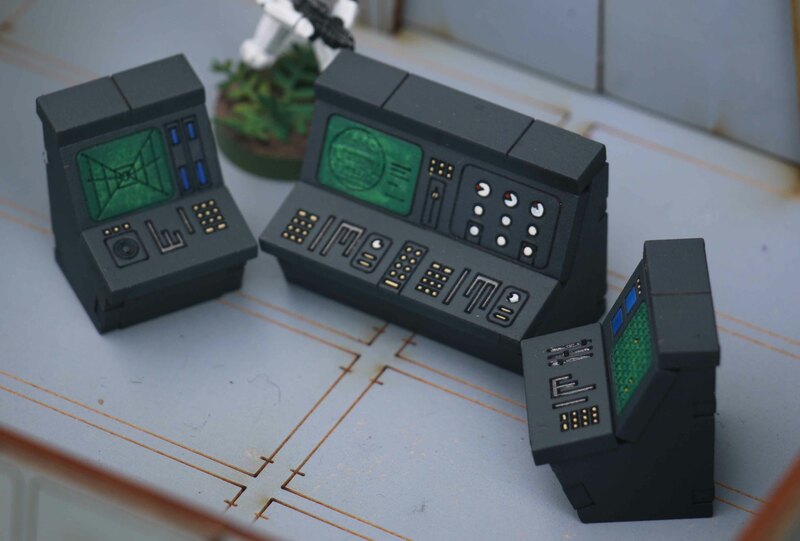 I repainted these dark grey and picked out the buttons and screens. The tech working area is a nice homage to the ending areas on Scarif in Rogue one. 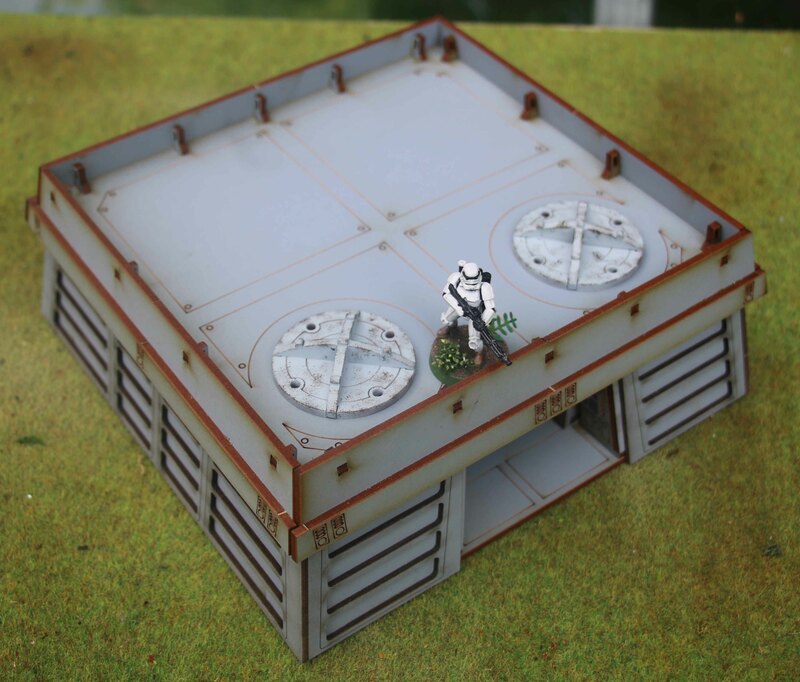 The containers suffer a bit from the problem you have with all MDF terrain… you see a lot of the edges on small pieces. So I repainted these. Which was easy enough. 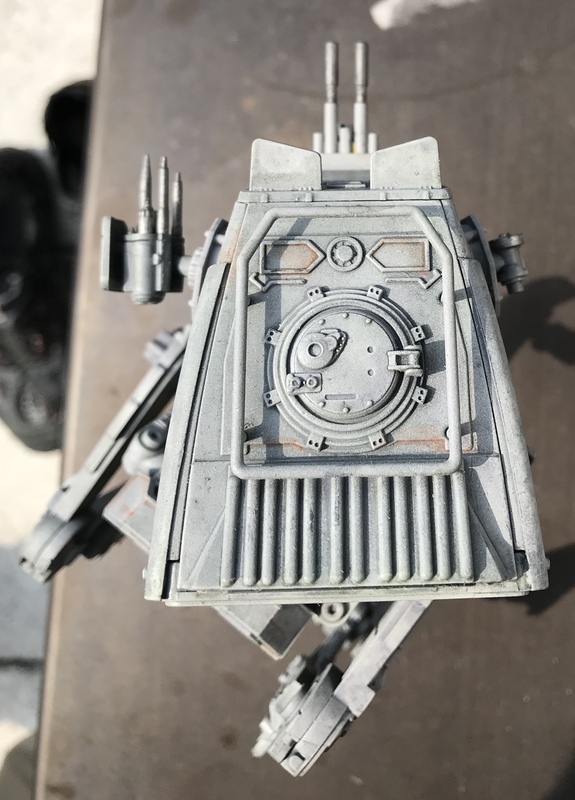 Since the Battle Kiwi terrain is pre-painted, I took the paint really well. With the control console I simply picked out the buttons and details while painting the the antenna in gunmetal. 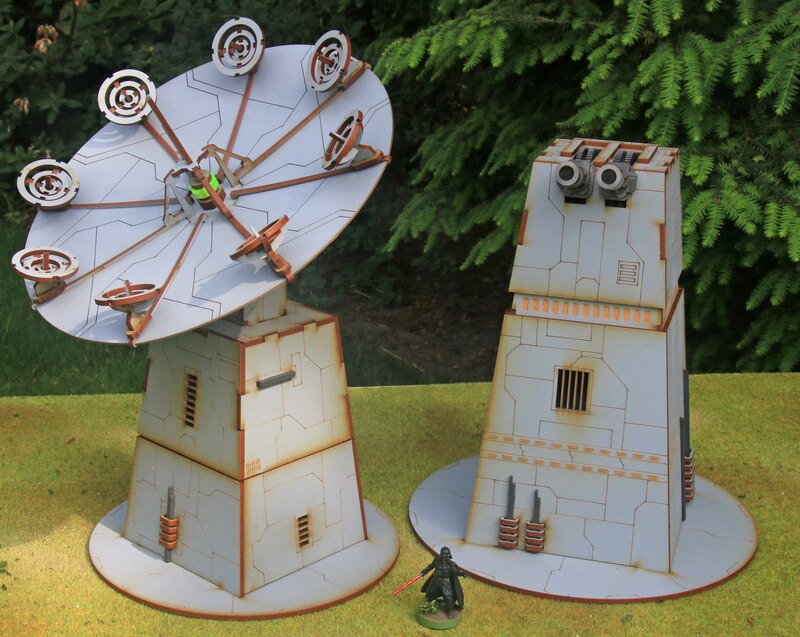 Now on to the big models… the dish for the shield generator on Endor and a Turbo Laser turret. 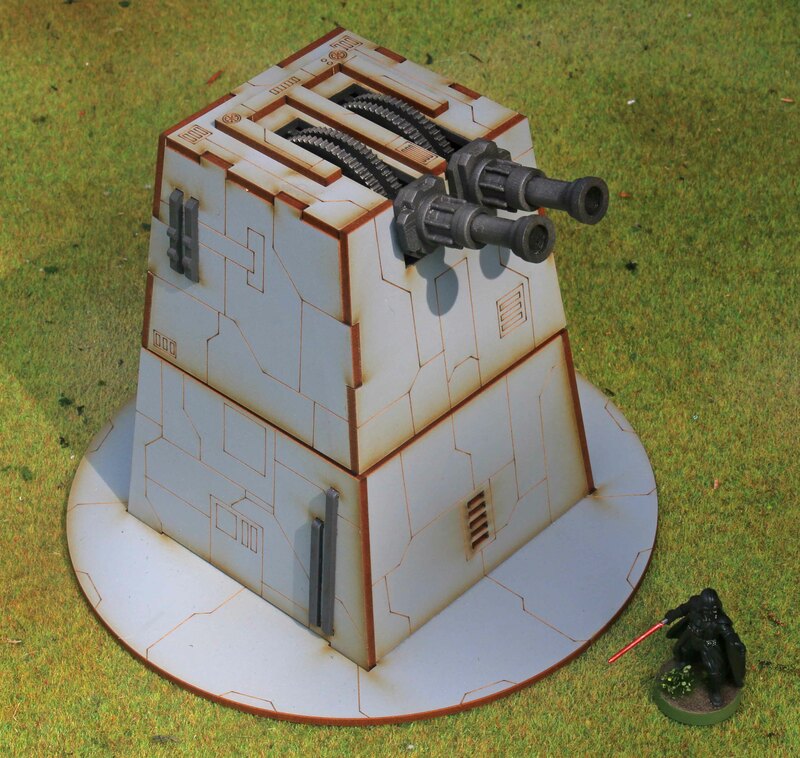 The are really great in that they provide great LOS-blockers for both infantry and vehicle sized models, while being really scenic. I made some minor improvements in that I picked out some of the cables in dark grey and painted the turbo lasers themselves in gunmetal grey. 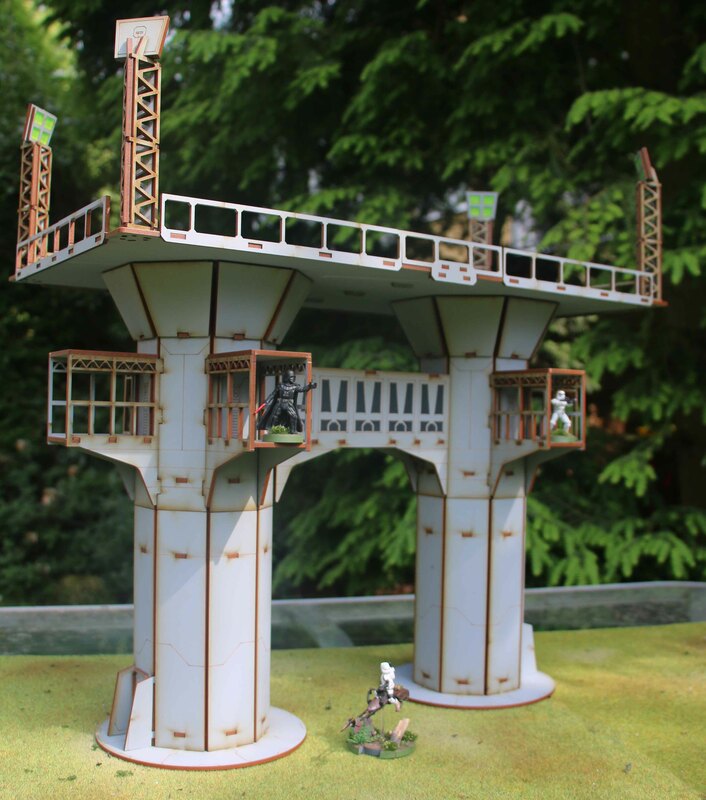 Since you can interchange the tops of both models, it gives you even more versatility and makes them easy to store. 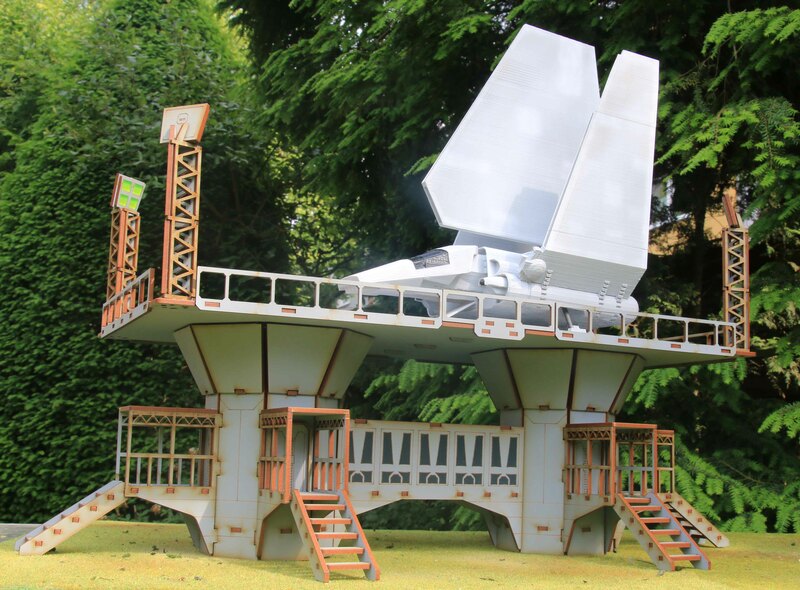 Now this landing pad is undoubtedly the absolute centerpiece of the whole range. As you can see it really towers over the minis. 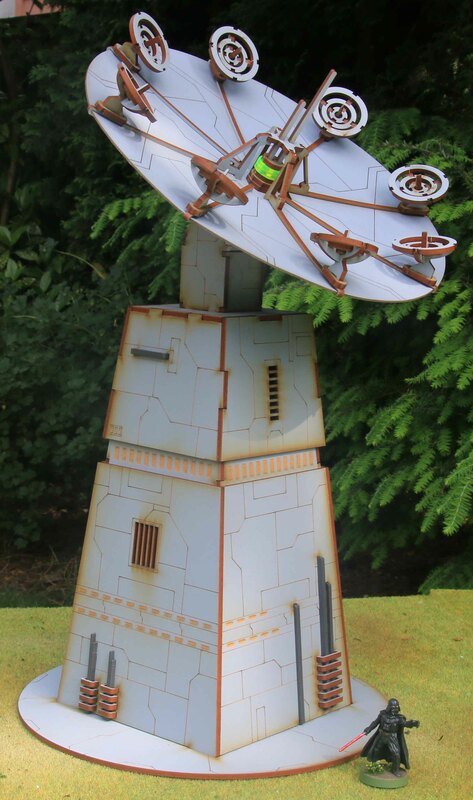 That being said, it is easy to store, since the pylons are separate from the landing pad, which is itself is two parts, with the railings and light pylons coming off as well. 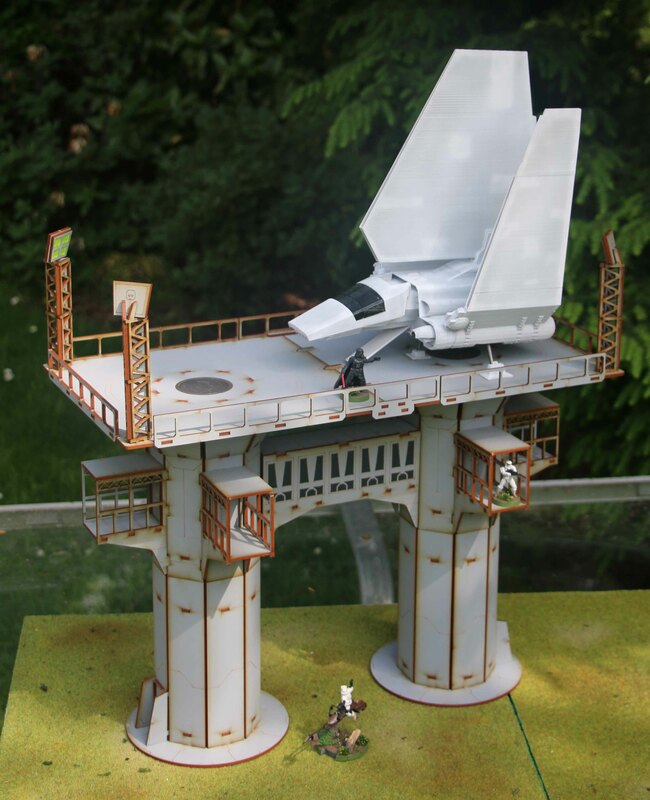 As you can see, you can also do a lower landing pad and add some stairs to it and place some power generators on the pylons, or use the generators by itself. I only made some minor alterations to the model, by painting on landing lights and doing the openings into the platform itself in gunmetal grey. The biggest problem with the model is, that it looks a bit bare by itself. So it was screaming out for a shuttle to be landed upon it. Since there is no model of a Lambda Class shuttle in the right scale, I could count myself lucky, that Martin has a 3D-printer and printed one out for me. 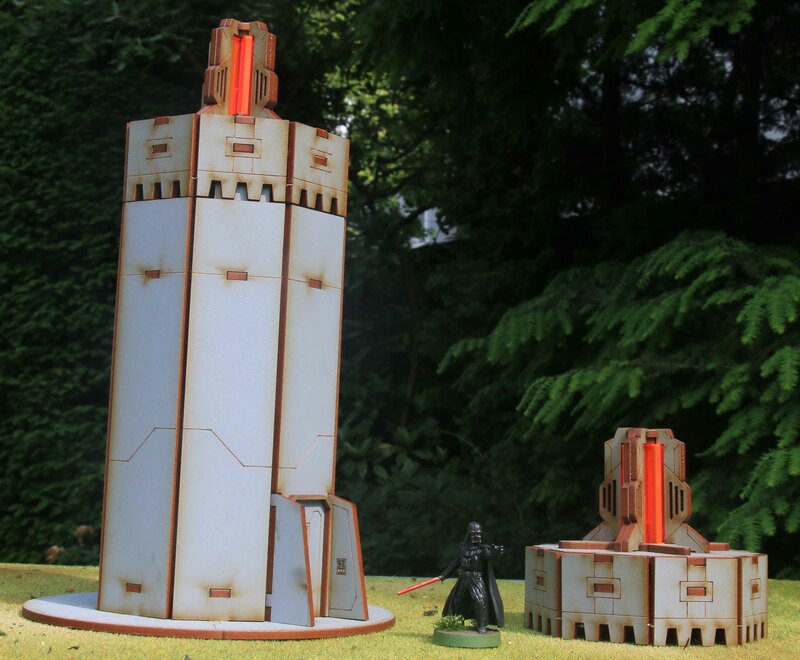 The model itself is a bit simple, but as a terrain piece it is doing fine. Star Wars: Legion seems to be quite a hype these days and I myself could not resist it myself. Having been born in 1977, I virtually grew up with the movies. I can still remember watching tape recordings of the movies on Saturday and Sunday mornings before my parents woke up. So, when they turned them into a wargame, I could not resist. That being said, I have decided to start so much new stuff in recent years, that I wanted to make sure, this would not become a huge time drain. So all the minis were painted a little more simple. So far I have only painted Imperial minis, but since I still have the Rebels from two core sets, I will most likely paint them later on. I decided to give them all the classic looks and base them for a plant like Endor. But I have to admit, that my favorite movie in the series so far is Rogue One. So I decided to do them more dirty. 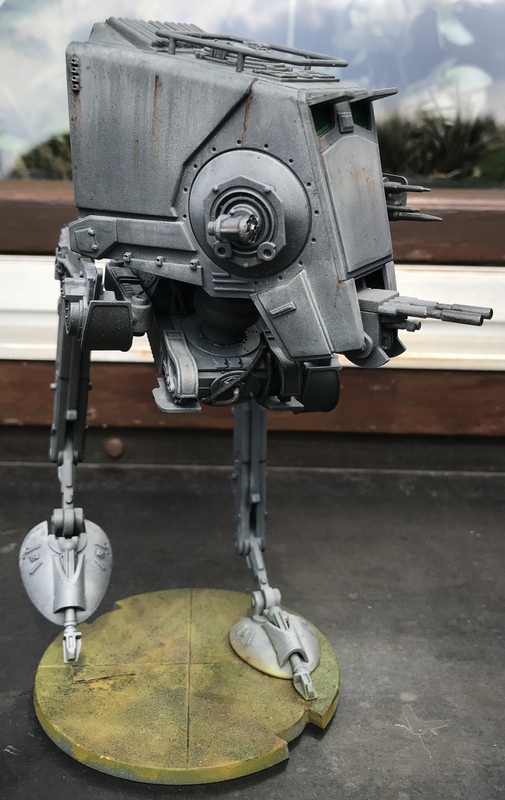 So the legs of the Storm- and Scouttroopers are splattered with mud and Darth Vaders armour resembles that worn in the movie.